The future looks a lot more real than it used to. Or at least that’s the impression given by movies like Gravity and The Martian. For over a century filmmakers have wowed audiences with voyages to space. Unfortunately, most of them look silly now—and even fewer would hold an audience’s attention for ninety minutes. Will these recent films fare any better? And will they still look real a decade from now? While their voyages lacked the slightest pretense of realism, the earliest films spent a lot of time rushing through space. Georges Méliès ’ Le Voyage Dans la Lune (A Trip to the Moon) (1902), in which six silly professors take a giant cannon shell to the moon and fight equally comic Selenites, was probably first. It was so successful that absurd trips to other planets (including a few shot-for-shot copies) soon overran the theaters. They featured such realistic means of getting there as crazy automobiles or anti-gravity potions. Not that it mattered: these “trick films” existed to startle audiences with new visual gimmicks. It wasn’t until 1908 that anyone attempted to make realistic science fiction. The Airship Destroyer tried to visualize an invasion fleet of fin de siècle aerial warships. That it looks ludicrous now shows just how precarious realism can be. In the first space feature, Himmelskibet (1918), Danish explorers went to Mars. Sophus Michaëlis adapted his own novel but, instead of a sphere powered by the “radio spectrum” of Mars, the Excelsior has a mysterious power source invented by the usual genius and a propeller in its tail! The filmmakers made little effort to imagine the rigors of spaceflight: not only is there no mention of the vacuum of space, but the Excelsior lacks an airlock. They don suits with masks before stepping out onto the surface of Mars, but find a conveniently breathable atmosphere and a wise and peaceful society of happy vegetarians. However, the ship strongly resembles early bombers and passenger aircraft. As in so many movies that followed, the designers drew on familiar images for their vessel. One gets the impression that most people had a hard time believing in space flight. The Sky Ranger (1921), for example, started out as an alien invasion serial, The Man Who Stole the Moon, before Pathe imposed an earthbound storyline. But it did appear in the educational shorts churned out by the J.R. Bray studio: animation pioneer Max Fleischer’s 1920 All Aboard For the Moon had Robert Goddard as an advisor and a rocket with a gimbal-mounted engine that predates Kraft-Ehricke’s real invention. The more comic, The Sky Splitter (1922) starred a bulbous, winged, Buck Rogers’-style spaceship. It doesn’t look very real but the film offered a few interesting ideas and ends with the inventor reaching a planet fifty light-years away and watching his childhood through a telescope. Far more ambitious was a remarkable 1925 German documentary, Wunder Der Schöpfung (aka Our Heavenly Bodies). The Ufa studios spent over $700,000 on its biggest production to date, hiring a horde of scientific experts to make it as real as possible. The highlight of the film comes when explorers take off on a trip to the planets. Their ship is a stubby cigar in what looks like a gyroscope cage, which launches from the top of a modernist ziggurat in the heart of a future city. Powered by some sort of electromagnetic drive, its cabin has visible reinforcing rings, like an airship. But little time is spent in the ship: the real emphasis is on the planets it visits. However, their trip through the Milky Way to intergalactic space looks very, very familiar. We’ve seen that same moving star field in 2001, Star Trek, and Star Wars. Wunder Der Schöpfung’s success convinced Ufa to back Fritz Lang’s Metropolis. It nearly bankrupted them. Undeterred, they returned to space with another Lang spectacular. He hired one of the world’s top experts, Hermann Oberth, as technical advisor on Frau im Mond (The Woman in the Moon, 1928). The results were impressive—at least as far as the trip itself. The ship resembles the WWII V-2 rockets Oberth helped design except for its strange box fins and hexagonal engine exhausts. It does, however, have his most radical innovation: multiple stages. Oberth immerses the ship in water prior to launch. He thought this would help support a vehicle so reduced in weight that it could hardly stand on its own. The problems—waterproofing the rockets, surface tension, and the sheer weight of the water displaced—would seem to outweigh any advantages. While he later drew V-2 style rockets submerged in floating launchpads, he never seems to have carried the idea any further. As a publicity stunt, Lang also had Oberth construct a liquid-fueled rocket to launch at the film’s opening. Unfortunately, he ran into a major snag (which cost him the sight in his left eye): he may have been the world’s foremost expert but he still had no idea how to build a rocket. Even more remarkable is the discovery of a breathable atmosphere, the notion that someone could survive being left behind with just a tent and a pile of supplies, and, of course, a huge vein of gold! (Apparently no one figured out how much it would cost to mine and ship home). Sadly, few people saw an equally extravagant silent space flight from the Soviet Union. It is hard to believe that anyone would have started an enormously expensive silent in 1932, but they wanted Kosmicheskiy reys: Fantasticheskaya novella (aka, Cosmic Voyage) to reach the widest audience possible. Unfortunately, silent film was dead before it was done. It ran in a few rural theaters in 1936 only to be yanked out because the Commissars thought the cosmonauts hopping around on the moon were too frivolous. It remained obscure until rediscovered in 1984. Russian rocket pioneer, Konstantin Tsiolkovsky, served as technical advisor on a film “adapted” from his novel, Outside the Earth. It features two massive ships, with the full-length stabilizer fins found on all of his designs. They launch horizontally, along steel rails. The model work is remarkable, as good as Lang’s or perhaps better. And clearly its version of the Moon is closer to reality. Beyond some minor tension involving attempts to prevent the ship’s designer from going and a trivial romantic subplot, the high points are a young stowaway, a ruptured oxygen tank, and an accident that traps one of the crew. There weren’t many science fiction films made during the Thirties. Even fewer featured trips into space. Just Imagine plays its trip to Mars for laughs, Flash Gordon and other serial heroes zipped around in toy-like rockets, and Things to Come shot its toga-clad astronauts out of a giant cannon. The minor quibble—that the blast would reduce them to a pulp—is conveniently ignored. The most interesting flight is a sadly truncated Bavarian film, Weltraumschiff 1 startet (The Launching of Spaceship-1). Its twenty-three minutes are all that’s left of an intended feature, cancelled when WWII began. It strongly resembles German science fiction films of the thirties like F.P.1 Doesn't Answer, with its near-term setting, more or less accurate science, and impressive effects. The monstrous ship looks like a 1930s Zeppelin, is over twenty meters longer than a Saturn V, and weighs roughly the same empty. Carrying a full crew and a load of scientists, it emerges from a vast hangar, accelerates down a rail then flies to the moon, passing close to the surface before returning. Most of the running time seems like padding: a press conference, a lengthy history of rocketry, a few film clips, and details of the ship and its mission. It gives few hints about the intended plot of the full length film, and even fewer about its characters. It wasn’t until 1950 that the U.S. finally went to the moon. Destination Moon, like its German and Soviet precursors, aimed to create a meticulously accurate voyage to the moon. George Pal recruited Robert Heinlein to adapt Rocket Ship Galileo, his YA novel about three boys who build the first moon rocket. He and Oberth served as technical advisors, with a little help from Wernher von Braun. Iconic space artist Chesley Bonestell, provided production art and designed the ship. The film eschewed the novel’s remnants of a lost civilization and Nazis on the moon. Instead it details a private corporate lunar project. The film is stunning, even today. 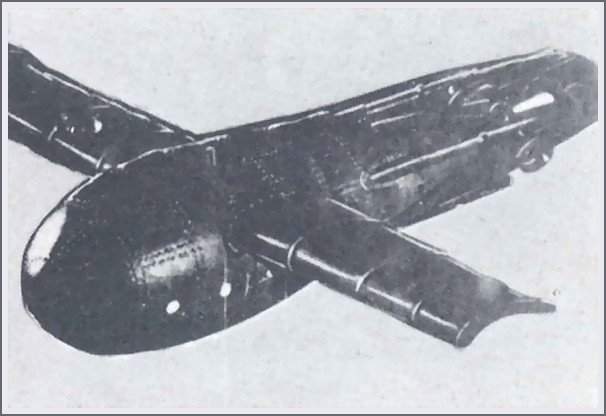 The ship—which owes a clear design debt to the V-2, looks plausible if rather spacious although some have criticized it because it only has a single stage. However, this is probably because of the ship’s water-fueled nuclear motor, which would be too expensive—and dangerous—to jettison. Bonestell objected to the cracks added to the lunar surface (which would suggest it once had lots of liquid water). They are the one glaring inaccuracy, but the set designer added them to make his forced perspective work: few viewers would guess that the astronauts in the background were played by midgets. Perhaps the best sequence comes when several stop-motion animated crewmembers exit the ship and walk around on its hull—although Woody Woodpecker‘s cameo gets a lot more attention. While the film excels at its technical details, it does little to develop its characters or provide any further plot than the voyage itself. Its first imitator beat it into the theaters. Rushed into production when Destination Moon was announced, Rocketship X-M narrowly edged it out as the first Fifties science fiction film. Although it used stock V-2 footage for most of its “effects” it still ranks as one of the better copies. Unfortunately, its plot is decidedly improbable: a freak accident sends the first Moon mission to Mars, where they find a ruined city and caveman-ish survivors living in the ruins. Soon space explorers would find alien civilizations in increasingly unrealistic films like Flight to Mars, Cat-women of the Moon, Missile to the Moon, and even Abbott and Costello Go to Mars. 1954’s Riders to the Stars at least tried a little harder. It focused on the preparations for a fairly straightforward mission—capturing meteors in orbit. It may have been the first space film to emphasize the need for training—and its rocket fleet looks more like jet fighters than anything Bonestell drew. It is also one of the few Fifties science fiction films to show crowded spacecraft. Their mission—discovering the secret that kept meteors from burning up in Earth’s atmosphere—is the real problem: apparently it never occurred to them that they might just have started out much, much bigger. Heinlein played a major part in another film, although with far less impressive results. Project Moon Base (1953) started out as a half-hour TV show before turning into a feature. It looks appropriately cheap, with some silly walking (and sitting) on the ceiling meant to illustrate weightlessness and the goofiest short shorts uniforms ever inflicted on any space traveler. The miniatures are passable, if you ignore how toy-like they are, and would have been fine on TV. But its reasonably accurate science can’t overcome the plot: a man and woman who survive an accident in space have to get married and take up residence on the moon. It isn’t clear, however, whether Heinlein was to blame. After a detour to more fantastic science fiction (The War of the Worlds and When Worlds Collide) George Pal returned to realistic territory with a 1954 adaptation of Willy Ley’s bestseller, Conquest of Space. He brought Bonestell’s illustrations to life with some impressive model work, creating not just one ship but an entire space program: rocket ferries, a classic wheel-shaped station, space taxis for cargo, and a Mars ship with a giant wing almost as big as the station. As in the book, the journey to Mars is a huge undertaking, involving a large crew and a ship that has to jack itself upright to launch from Mars. Unfortunately, Ley’s book was non-fiction. While undeniably handsome, the film failed to generate much excitement. Pal’s astronauts face malfunctions and rogue asteroids, only to have the commander turn into the Hollywood version of a religious fanatic and try to stop the mission. A year later, the British made a realistic space flight of their own. Satellite in the Sky is far less ambitious, portraying the first orbital flight of a spacious, needle-nosed ship which (like so many before) launches horizontally along a track. As in Destination Moon, it is nuclear powered and boasts a moderately large crew, including a scientist and yet another stowaway (this time a girl reporter). The film tries to keep our attention first by focusing on the soap opera lives of the crew, then with the revelation that their real mission is to test a new bomb for the Americans. Naturally, it gets magnetized and follows the ship, with only long hours to go before it explodes. Which gives the crew plenty of time to stand around talking about it. As hard as filming plausible space voyages may have been, making it all seem interesting after the initial novelty waned proved far more difficult. Space trips of the Fifties ran into such common problems as murder mysteries (Spaceways), unseen presences absorbing the crew (The Quatermass Xperiment), flesh-eating stowaways (It! The Terror from Beyond Space), or deadly space fungus (Space Master X-7). But, despite all these routine hazards, audiences dwindled as the decade drew to an end. The 1957 launch of Sputnik helped a little. Roger Corman was the first to exploit the hysteria, slapping War of the Satellites together in a little over five months. Naturally, all his space craft were spheres—or collections of spheres—and the only truly memorable part was the ship’s endless series of wide corridors, none of which seemed to go anywhere. The Space Explorers proved to be another big winner. Fred Ladd had just finished piecing together a kids’ special from a grab bag of existing footage—including bits of Weltraumschiff 1 startet and a 1953 Russian children’s film, Polyot na Lunu (an almost shot-for-animated-shot remake of Kosmicheskiy reys)—when Sputnik went up. Although parts of it already looked quite dated, it played on TV for years—usually as a series of six minute segments on local kids’ shows—and spawned a 1958 sequel. Science fiction in television had mostly been simplistic children’s shows more like the old Republic serials than anything in the theaters. But in 1959 CBS changed that. After producing Destination Space, a pilot with effects “borrowed” from Conquest of Space, they decided instead to launch a half-hour children’s series, Men Into Space. It was surprisingly sober and realistic, with newly filmed model effects that look far more realistic than those borrowed effects: Bonestell’s visions had no corrugated metal, no visible panel detail or external pipes, no gaps between sections, no control nozzles, and no tinfoil. Straight metal tubes replaced lovely streamlined shapes and blunt noses won out because needle-noses, with all their extra surface area, got hotter. As the space race heated up, fictional rockets gradually began to look more like the real thing. Unfortunately, the audience lost interest. Science fiction film went into eclipse for most of a decade—at least in the West. And thanks to the wonders of Youtube, you can watch both films while you are at it!